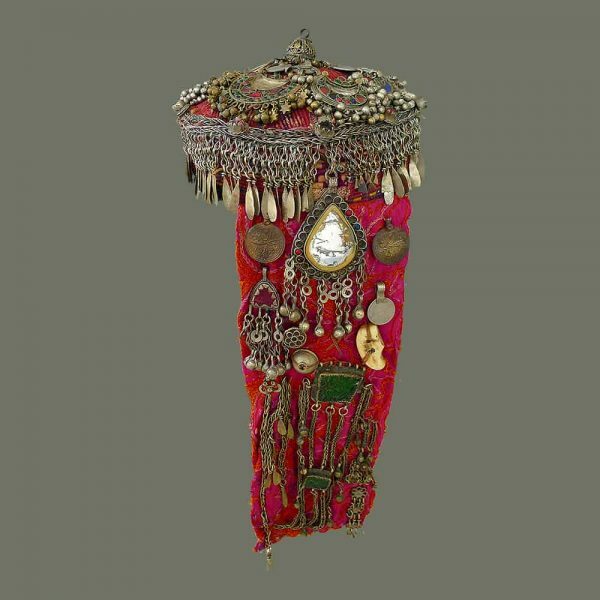 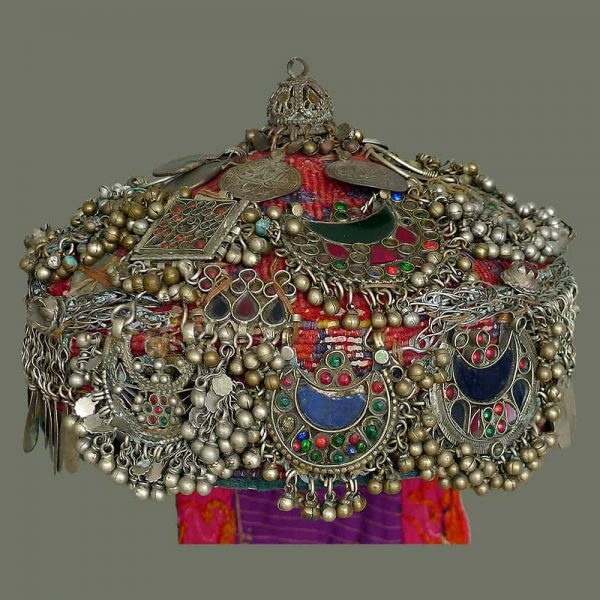 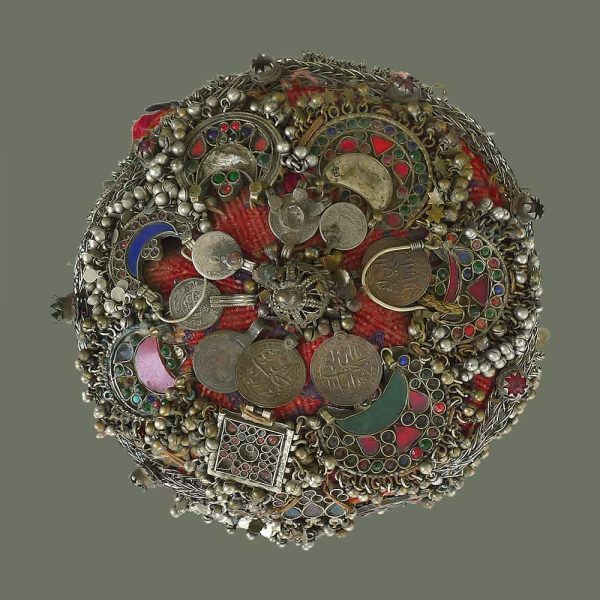 Heavily ornamented with old earrings, coins, beads, chains, dangles, and odd bits of jewelry, this fanciful hat probably came from Afghanistan, tho we don’t know from which group. 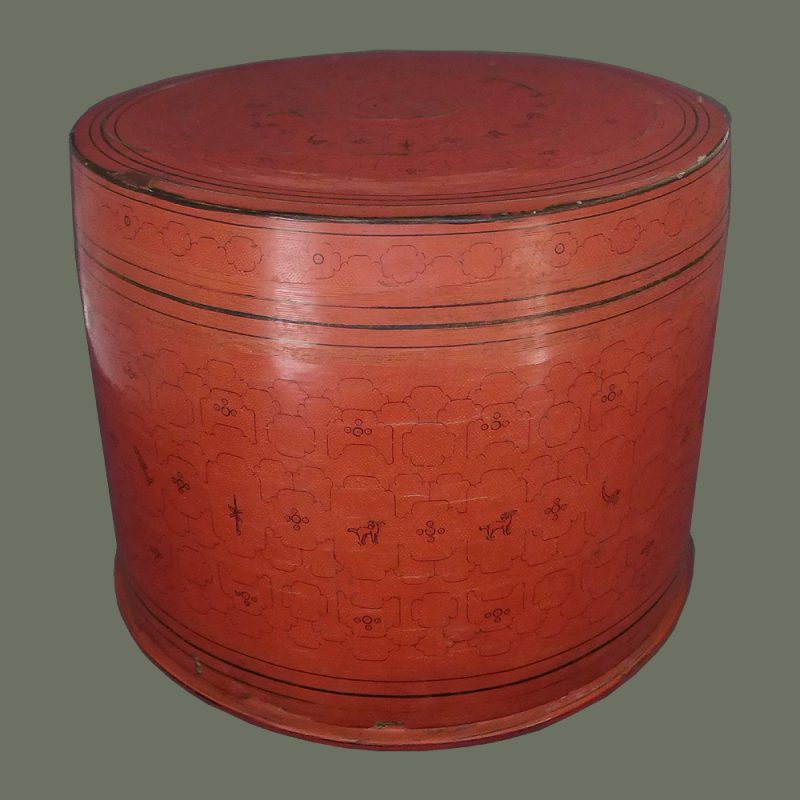 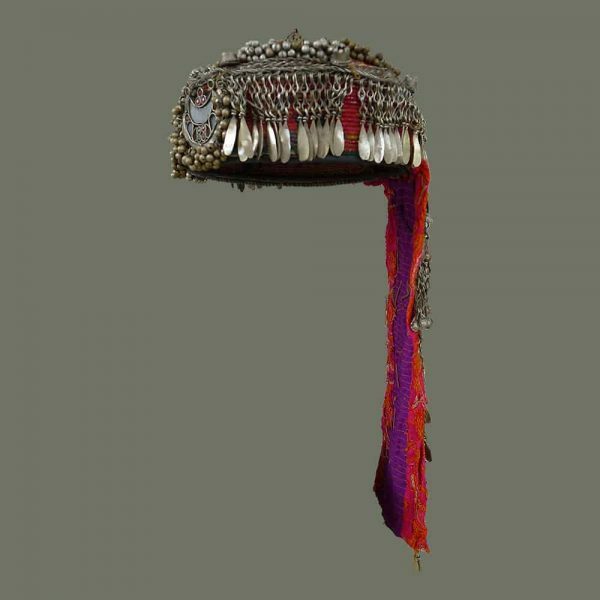 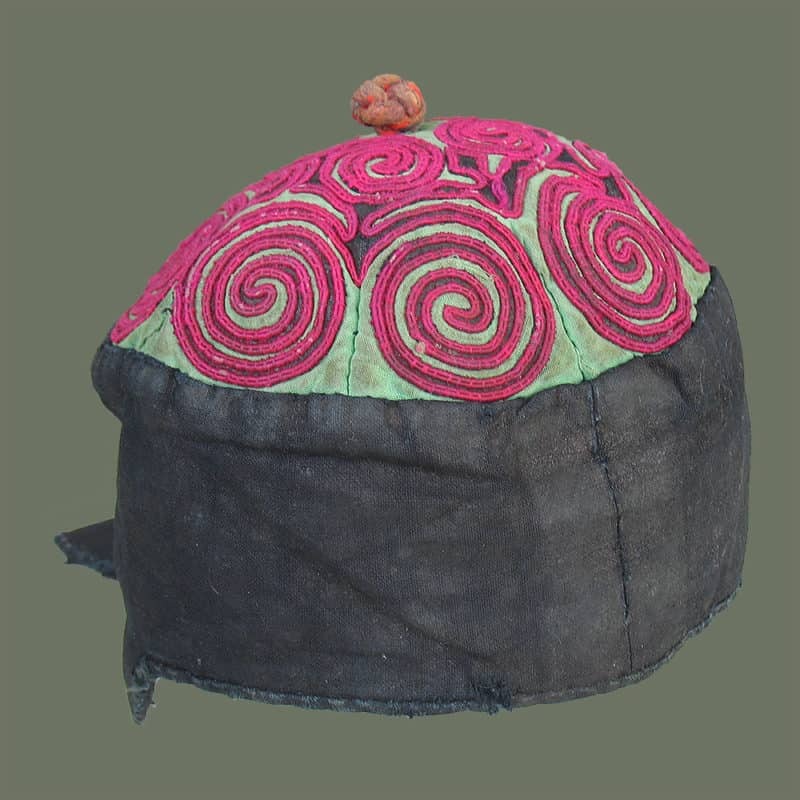 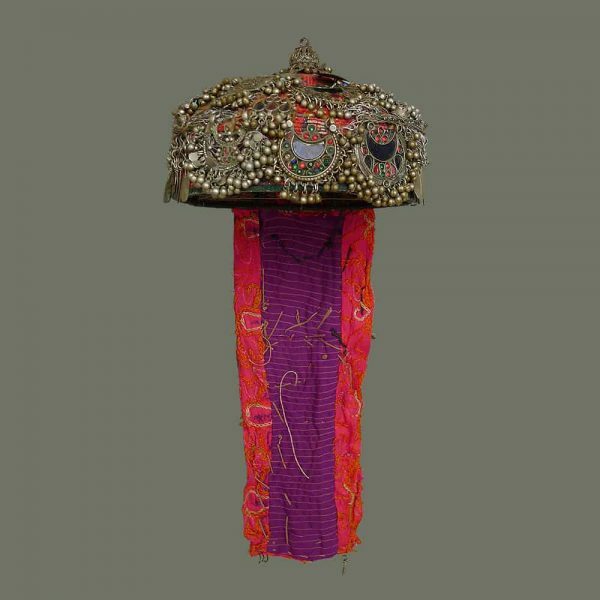 It is in the style of Turkoman hats we have had, but the ornament is different. 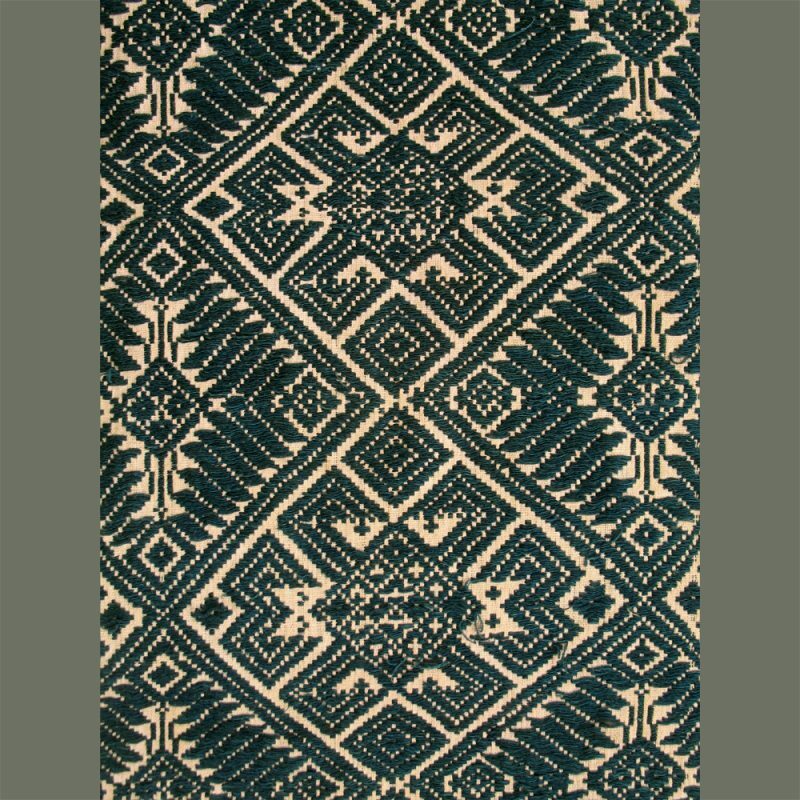 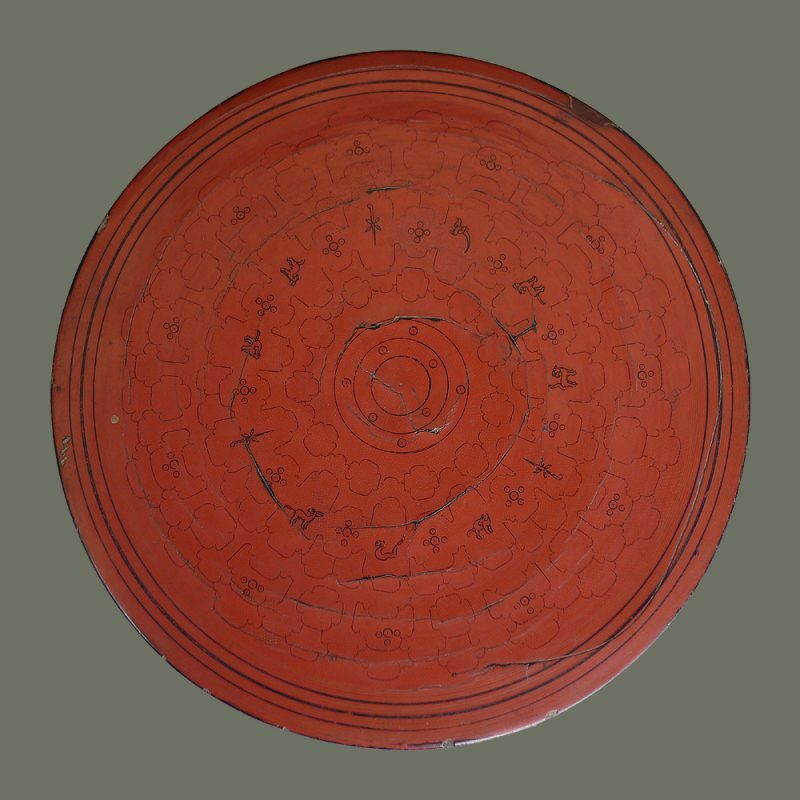 Age, too, is difficult to determine, tho it is probably from the last half of the 20th century. 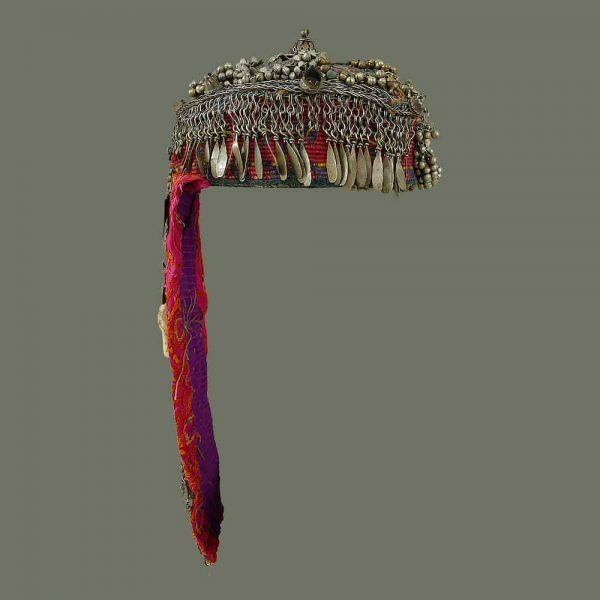 Regardless, it would be a great addition to a hat collection.